While the new 'Special' edition of The Legend of Zelda stole the show and hit the headlines earlier on today, we felt it worth reminding you lovely readers that today marks the arrival of the first set of new NES games on Switch - and give you a little bit of background info on all three, of course. The three games in question are Solomon’s Key, NES Open Tournament Golf and Super Dodge Ball, all of which can be accessed instantly by loading up your Nintendo Entertainment System - Nintendo Switch Online app (assuming you have an active online subscription, of course). You can find out more about all three below. 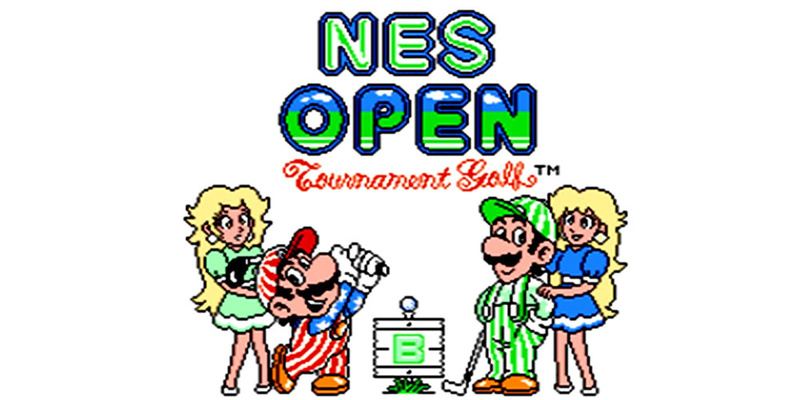 NES Open Tournament Golf allows players to compete against each other in Stroke, Match, and Tournament modes on three fantasy courses in the USA, the UK, and Japan. You'll need to make sure you keep an eye on the wind and distance to the hole before selecting your club, though, or else you’ll be racking up some scarily high scores. If you're familiar with the rules of golf, you'll know that this is the exact opposite of what you want to do. This game has also seen releases on the 3DS and Wii U eShops, as well as the Wii Virtual Console back in 2007. It's no surprise to see it here on Switch as well, then, but still a welcome addition all the same. As Dana, a skilled and talented hero, Solomon's Key has you strategically manoeuvring through over 40 stages using mysterious block-creation skills and other magical powers. 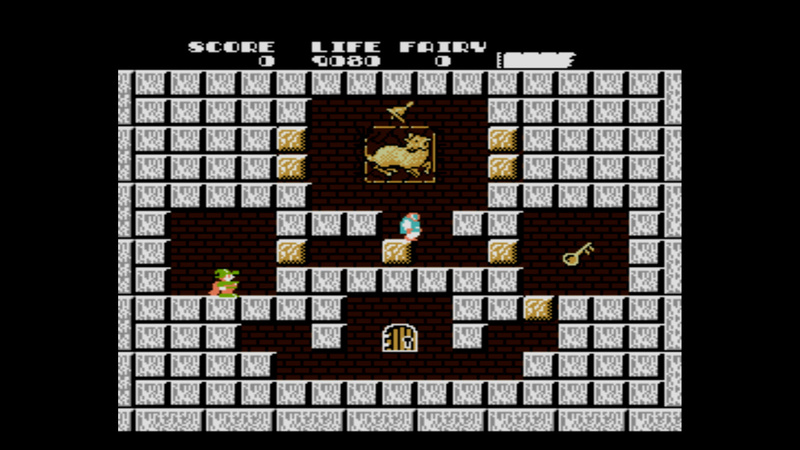 Players must free the captive Fairy in each stage by finding the Bell, and escape by grabbing the Magic Key. Using some quick thinking and the magical firepower at your disposal, you can discover hidden items and evade numerous enemies as you race against the clock. This one is another title also available on 3DS, Wii U, and Wii. Feel free to check out our reviews by clicking on those links for each system. In Super Dodge Ball, you take control of the USA Dodge Ball team and travel the world in an effort to become the best dodge ballers around. You'll be stepping onto playing fields in countries all over the globe and using a combination of normal and super shots to help take down your opponents. You have to be careful in this one, though, as some destinations have surfaces that can affect your footing. 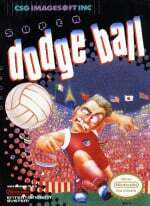 You guessed it, Super Dodge Ball also released on 3DS, Wii U, and Wii Virtual Console. As before, you can see reviews via the links provided. In case you'd forgotten, the followings months are also expected to receive three new NES games each. November will see Metroid, Mighty Bomb Jack, and TwinBee arrive on the scene, while December will treat us to Wario's Woods, Ninja Gaiden, and Adventures of Lolo. Have you tried any of these latest additions yet? Are you starting to get overwhelmed with nostalgia? Tell us below. I'm underwhelmed with nostalgia. I'm liking the NESflix system, but I'm not liking the slow trickle. 3 games a week would be a better rate. I’d rather attend a yawning festival! Agreed three games in a month is too slow. The service itself isn’t horrible in fact in can be fun but the game selection and slow trickle leaves a lot to be desired. Nintendo clearly put a decent amount of work into this new version of Zelda, which only makes me mad because that effort could have been redirected towards adding more games per month, adding SNES to the service, fixing some online issues...the list goes on. My mind is just a little bit blown here. I've never played Soloman's Key, but I played the everloving hell out of Fire n' Ice, which is one of my absolute favorite NES games as a child. Apparently outside of the US, Fire n' Ice is known as Solomon's Key 2. All this time, I had no idea it was a sequel. Guess I have some catching up to do. At least it's three good games. Over half of the 20 day one games are rubbish. Opened app. Closed app. Opened splatoon. Where's DUCK HUNT and TETRIS. Nintendo screws up again, instead of giving just three dull games, they give fourth, a screwed up version of LoZ that takes ALL fun parts of the game away, and calls it a "Special Edition"
DAMN NINTENDO, YOU HAVE ALWAYS BEEN ABLE TO SELL DRAWINGS BY 3rd GRADERS AS PICASSO'S IN THE PAST, BUT GEEZE, DO YOU REALLY THINK WE ARE THAT STUPID ??? Yeah I'm gonna expect the same whining every month in the next 6 months. Where's Super Mario Bros 2? @BugsNNails It was to make the Switch conducive to indie success. It worked. It was a good decision. Curveballs are greatly appreciated, and steps in the right direction. But Nintendo has to keep taking them if they don't want to alienate even their most affectionate audience. It just isn't enough to keep/make the service interesting. The price is the only saving grace right now. @NOELQUEZON Duck Hunt will not work on a non-CRT. @BensonUii Same here. I've noticed it's actually been 3 weeks, not a month. So they came sooner than a full month. Ya know what else I like about these titles? It helps keep me from spending money. 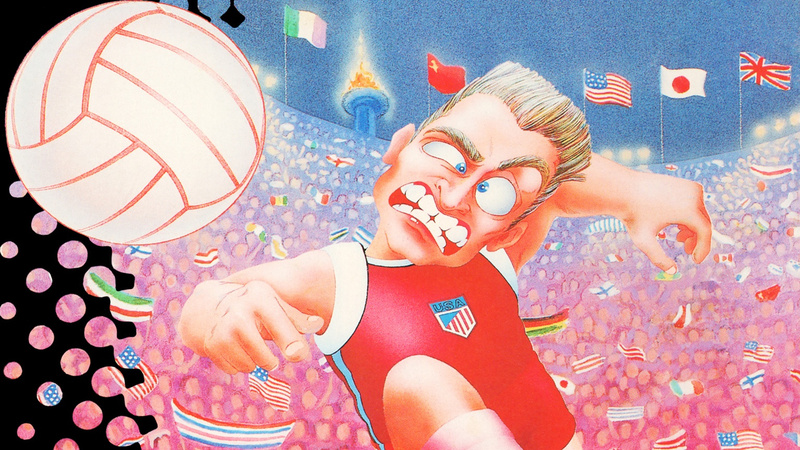 Why buy a $5-15 indie I may play once or twice, when I'm still chasing a ring in Tecmo Bowl? Service is super lame, but the service is oddly worth it me JUST for Wario's Woods on the go (in DEC). The NES version of that game is so amazing there should be statues built for it. No sarcasm nor child nostalgia - first played it 3 years ago and beat ALL of it. 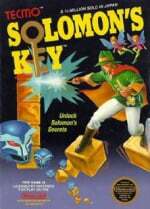 Can't wait to get home tonight and fire up Solomon's key for the first time. 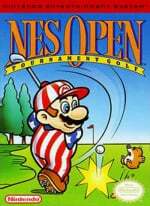 I'll probably play some nes golf too. No special version of LoZ for me though as I'm on the last level of the regular LoZ..
@BugsNNails Look at any weekly or monthly sales chart for 3DS and Wii U. VC games always dominated them. They'd have dominated the Switch charts, indies would have been affected the most, and your cherry picked examples don't disprove that, because they're statistical outliers either way. The average game, however, goes from 10,000 sales to 5,000, or from 5,000 to 500, or from 1,000 to dozens. The Switch is arguably the best place to play indies right now; that never would have happened if it had a Virtual Console. I hope we get Zelda II soon. All joking aside, I don't know about these NES games. They're kind of fun for a few minutes but then they get a little boring. I'd have loved to see GameCube games instead. Imagine something like Zelda WindWaker or Super Mario Sunshine with online co-op. I guess it just wasn't meant to be but I can still dream. I'll try all three, but I'm really looking forward to Soloman's Key. I’ve just realised that nintendo has tried to sell these games on four seperate occasions in the past, five counting the original game. Furthermore the voice chat on the Switch Online App is so terrible and useless it beggars belief. I am a huge mug for being on this online subscription and will not be renewing. I was a young teen when the NES first appeared and as there was nothing else about that bettered 8bit games, these games back then were great and I spent many hours playing some of these that I purchased or had bought for me. Now though these have nostalgia value, worthy of a few minutes play before you get bored with the limited gameplay/controls and options. Ive tried all of these games and they are all now very dated. I find the sounds/music, limited gameplay options, controls schemes, basic graphics annoying and make them worthy of a few minutes play only. I hope this service expands beyond NES. What would be interesting @nintendolife if the original magazine reviews of these games could be located and reproduced on Nintendolife as a retro article. I still haven't bothered with this service. I hardly ever played online anyway and I'm not too concerned about cloud saves and I have no interest in these vintage games. Even if there are three more today. Loved half the initial batch of games, but unfortunately I gave each of these games 5 mins to grab me and wasn't happening. Hope someone has nostalgia for these 3 cause I sure don't. The Zelda rom hack is nice for beginners, but since I can play every part of the first quest without a walkthrough...I'm good without easy mode. Better luck next month for me. Least I've got lots of new Switch games ongoing and some coming out soon. I wonder how long it will take Nintendo to realize people are not loving this feature and, more importantly, whether they will do anything about it. I don’t want to complain (who am I kidding, of course I do.) but Nintendo really needs to make a virtual console with access to GB, GBC, GBA, DS, SNES, N64 and GC games. I’m not too fond of this NES module and find it shoddy at best. @BugsNNails hopefully Nintendo will take the hint if we make a big enough fuss. @Kevember why do you have a trump Avi? @Trajan They made it work on the WiiU with the Wiimote's I.R. pointer. They could do a motion-based pointing system like Skyward Sword and make it work. I have NES Open Tournament Golf and Solomon's Key on Wii U VC. Both are pretty good old-school games. It's hard to find a better golf game on the NES and Solomon's Key is an 8-bit classic, a gem from the early platformer years! Super Dodge Ball is from the River City Ransom series, I have played it 20 years ago. Was great multiplayer fun, most likely also the best dodgeball game on the system. 3 of the best NES games. However, I have 18 out of those 23 games, and the 5 I don't have don't interest me all that much. There's not enough new content for me personally to buy the online. It was nice that we got Pro Wrestling re-released for the first time, but they should have gone all-in with stuff we wanted for decades! The Wii U got Earthbound Beginnings and the 3DS got The Mysterious Murasame Castle. I'll bite when we get translated Famicom classics! The very first Fire Emblem and Famicom/Advance Wars games, The Famicom Detective Club I & II, Shin Onigashima, Joy Mech Fight, etc. @0rwellianson Because he's my favorite stand-up comedian. @Grogan Not so. Super Dodge Ball is amazing you should try it. @BugsNNails Many indie games are retro game wanna-be's and I am guessing that most people would rather just play the real retro games, I know I would. 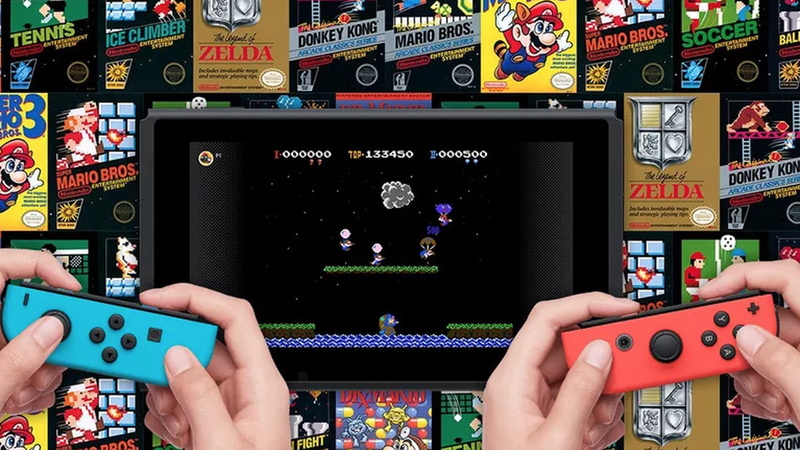 Have you noticed how people are always calling for a Virtual Console on the Switch? It's what people want. Of course, if Nintendo killed the VC to help indies, they should also kill their own games to help third parties who have historically struggled on Nintendo consoles because people mostly buy Nintendo's games. Yeah, will still preserve final judgement until the first year has passed but this has not started good. @SirRandall its not 'Amazing' I am not Amazed by 30 year old mediocre games. SMB3 may have been amazing in 1988 but it isnt now and dodgeball wasn't then and isn't now. Yep! People should just happily take what Nintendo gives them! @Redax If you could buy them, then many people wouldn’t need the online service and Nintendo would make less money. Plus I am sure Nintendo wanted to end the conversation about transferring your VC purchases from the Wii, Wii U and 3DS. Virtual Console seems like a beast that Nintendo wishes that they never created. 3 games that are not in NES Mini, for those who say the NESflix is the same as NES Mini. @Dang69 For two decades, the music from that game has been stuck in my head. Can’t wait! @Crono1973 You seem to be negative against almost everything Nintendo does. I see you complain in almost every comment you make. Why you frequent this site is a riddle to me. Sure one are allowed to be critical, but in every single comment... Not good for your health, man. My comment was directed at the obvious beat the dead horse comments that Nintendo’s unremarkable, but acceptable online service generates everytime NL writes an article about it. @Quarth When you have nothing else, resort to personal attacks? @Crono1973 Nothing personal against you, you just seem so negative all the time. Constantly being negative isn’t healthy. It’s not a personal attack, just an observation. @Quarth Why don't we stick to talking about Nintendo? @Crono1973 Sure thing, but it’s kinda tiring with all the negativity around here. I’m not saying one can’t be critical, be my guest. It’s just that the constant negativity and whining drags this place down. No, but no ones forcing you either. I can understand the online service isn’t everyone’s cup of tea, but for 20$ a year (even less when sharing the subscription with others), I don’t think it’s a big deal. The NES games is just a bonus in this and there are several other ways of playing retro games. I for one am collecting physical copies. @Quarth Your attitude seems to be: 'It's only $20 so be happy with what you get.' and I just don't think that's a healthy consumer relationship with a corporation they have paid for a service. This attitude of: 'No one's forcing you' is basically the same as saying that we can only vote with our wallets unless we have have praise and then we can speak aloud. BTW, the NES games aren't just a bonus, they are a selling point just like the cloud saves are. @Crono1973 Your lack of understanding of basic argumentation is astounding. Meh, those are pretty well all games I don't care to play or revisit. @Crono1973 Well, I’m not in any way praising the online service. It could be more content wise, but also more expensive. It’s not remarkable, but passable. It’s not perfect, but it’s far from terrible. You know what you get, what’s included in the price. You don’t need to buy into it, of course not, but that’s what I’m saying: vote with your wallet. For me the service is fine, I buy it. For others it’s not, then they don’t need to buy it. If more people are boycotting than buying it, Nintendo will probably do something about it, but for me personally, I don’t have a problem with it. The retro games are available in other places and I think the Switch is full of wonderful new games for me to play. Tell me what you would want from the service and out of the Switch? @PanurgeJr Oh boy, more personal attacks. I guess I'll report it this time. @Quarth The best way to buy into it is with the yearly plan so people who have already bought into it have every right to complain if they don't feel that they are getting what they expect from the service. People who haven't bought into it also have every right to tell the world why they didn't buy into it. There's just no good reason to tell people to 'be positive or be silent'. Now as for me, I don't have a huge problem with the NES game selection even though I only play 3 of them. My problem is that Nintendo didn't even care enough to give us manuals for the NES games. I had to look up (from a non Nintendo source) how to play a few of the NES games like Solomon's Key, Dodge Ball, Ice Hockey and a few more. It's lazy of Nintendo not to include manuals (not even online) and they should be called out. What do you think about them not including manuals for games that were not designed with tutorials? @Crono1973 Report away. But it's absolutely true that your claims do not logically flow from one to the next, nor are your claims about what people have said supported by the words they used. @PanurgeJr Lots of vagueness there, can you elaborate? I’m not telling people to stay positive or silent, but I think people are getting upset over the smallest of things sometimes and it wouldn’t matter what service Nintendo put out: people would find something to complain about anyway. Regarding the manuals: yeah, sure, it would be cool if they were included, but it’s not a deal breaker for me. Most of the games are easy enough to get into, you don’t need a tutorial on how to play them. The only games I didn’t quite understand were the american football and the baseball games, but that’s more of a cultural thing I guess, as I’m not from USA. @Quarth Have you tried playing all the NES games on offer? Did you completely understand the game mechanics and controls on all of them? For example, in River City Ransom I had to look up how to jump. You have to push A and B together. I had forgotten that. Take Gladius, I have never played it so I didn't really understand how to use the power up system and what the different power ups did. This is what manuals are for. These are NES games and they were shipped with manuals. As far as it being a deal breaker for you or not, that is not the point. It's an example of Nintendo being lazy (or incompetent) and you hand waving it. It's an example of the opposite of what you accuse me of. As I said, most of the games are easy enough to understand for me personally. It’s just the american sports games that I don’t understand (or care for, for that matter), but I could easily google the instructions if I want to. Nintendo could have included the manuals, absolutely, but as I said, (and we’re talking subjectively here, it’s what both our opinions are) it doesn’t make the service total crap. But it could be better, sure. And I can be critical of Nintendo when it’s regarding something I feel is worth being upset about. The NES library on the online service isn’t one of those things. I’m not accusing you of anything. I’m just saying that you come across as very negative, not just against the online service or the NES games, but against Nintendo in general. I don’t know you in person, you might be a very nice guy, but on here you feel very pessimistic. Again, it’s not a personal attack and I’m sorry if my comments were perceived as such, it’s just that I’m not used to seeing you write anything positive around here (of course you have, but it’s not very often). Sometimes you of course have valid points. It was just an observation, that’s all. Now it’s ten minutes past midnight here and I need to go to work in the morning. Good night! @Quarth I believe that you shouldn't have to google how to play NES games that Nintendo is currently offering. They gave you manuals for all Virtual Console games until now and apparently they have become lazy. Maybe I am the only one who cares about this. @Crono1973 Ok, if they included the manuals with VC and not now, I can agree it’s kinda lazy. Meh. I can play these games whenever I want. It just feels better on Nintendo hardware. 1) Most everything I play is on a Nintendo system. I collect my favorite NES and SNES games in physical form and when I get a new cartridge I take it apart, clean it, replace the save battery and order a custom case for it to keep it clean and looking nice on my shelf. 2) I may sound negative about Nintendo but it's because I care. I have nothing to say about Sony or Microsoft. For them I just don't care what they do and don't do. 3) For me, Nintendo IS the game industry and the other companies are just engaged in a specs and multimedia race that I don't care about. @joey302 And someone re-reading me this article would make me win the contest. I mean come on nintendo yaaaaawn. Say what you will about Nintendo but check out this unrelated story from today that shows the class of Nintendo. Pre-purchased save me Mr Tako a few days ago at $15. Saw yesterday its labled as a deal for $10. I called up customer service and explained why i felt I deserved a credit as the game isn't even out yet and it only went up for pre purchase a few days ago. Low and behold, 5 minutes later my account was credited the difference. It's only $5 but that speaks volumes to me as a consumer. They may not always get everything right but they did right by me today. A OK in my book..
Next month though!? 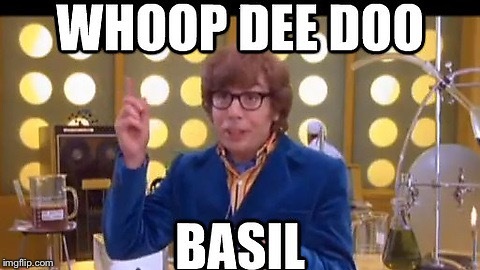 Whooo! SNK 40th with Chrystalis!!! @Crono1973 Were my assessment of your skills in logical reasoning flawed you'd have neither described me as vague nor requested elaboration. @Dang69 Is it better than the SNES version? If so, why? @raven89 I know ....just horrible On Nintendo’s part!! It’s a slooooow torture for sure! In the year 2018 there’s absolutely no good reason why Snes and N64 at the very least should not be in the mix! Dare I mention GameCube and Wii Games?? @BugsNNails totally agree! Nindies would not be effected if there was a VC on Switch! In fact, with all the classic games already available on Switch already, well there’s the proof right there! We continue to read about successful indie stories on Switch with a hundred Hamster games, Namco Museum, Psikyo Games, Johnny Turbo and now Sega jumping in with Ages/Genesis Collection and soon Snk and Atari will have their own collections. No matter- the top indie games will break through! Really it’s a win win for us! @joey302 I know this isn’t on the collection. But gotta pump up the SNK bromance here! @Crono1973 I have put a heart on your last comment. Thank you for clarifying and I understand where you’re coming from and I apologize if my comments came off as accusing when that wasn’t my intention. As I said: you don’t know someone from just reading the persons comments on an online community, but you make up a picture based on them. That picture can of course be wrong, but it’s what you have to go with as it’s all you see. Add to that all the trolls that occupy the comments sections and it can sometimes feel as if there’s a lot of complaining going on just for the sake of complaining. But I now understand that you do care about Nintendo, it’s just that we view things differently on some of their decisions and that’s fine by me. I’m sorry that my judgement was made too quickly and if you felt accused. Not my intention. Have a nice day! @Grogan Ahh I see. You are just angry and want to ruin it for others. You know all that hate just makes life horrible. You should try being happy and not so cynical. Trust me life is too short to be this angry. No you don't see, I said 3 awfull games that don't amaze me. You assume someone is angry because they don't agree with you. That's says much more about you than me. How am I spoiling anything for anyone by saying this ? How can you assume someone's happiness by a simple opinion on 3 games? Are you a trained clinical psychologist ? Or do you just...dabble? I want to be into these but I just can't wait for the SNES, N64 and Gamecube titles. The NES is an interesting old system but most of the games were meant for single sessions. Link to the Past, Star Fox, OG Smash, that's what will really get my attention. @SirRandall Dude he's paying a monthly fee to get Classic games and they picked three crappy old games he has no interest in. Why would he not be peeved? Switch Online has been kind of a wreck for most of us, this is nothing to be surprised by. @BlueOcean It's just tighter feeling, I prefer the music in it, feels like the music and sprites are leftovers from the same team's brains behind Mario 3 - the modes feel better in it to me - the difficulty scaling feels smoother but ultimately also feels harder. I dunno. It just...feels like Toad from Mario 2 in Mario 3 but as a puzzler with the tight tight tight NES feel. The SNES one is fine tho. Most would say it's better I guess. I'm actually incredibly excited to play this again - had to sell off my physical copy a couple years ago. Also - ummm Soloman's Key is total kind of really dope and I'm addicted to it now. Was disappointed in it being one of the 3 new titles, but actually really love it now. Weird. @Dang69 Interesting, I will check the NES version on 3DS. @BlueOcean Don't expect to have your mind blown - but I'm personally really really diggin it. Curious what you think of it. @Dang69 I haven't played the SNES version of Wario's Woods either, I used to play Yoshi's Cookie, the SNES version. I never had the NES. I downloaded Wario's Woods on 3DS. I was curious because it's the last Nintendo game for NES I believe, as it was released in 1994, just two years before Super Mario 64! I'll let you know my thoughts, at first glance it looks complicated.